Do Clients Buy the Consulting Firm or the Consultant? This post is a distinctive take on an article originally published on RainToday. When asked, the majority of clients (as opposed to leaders of consulting firms) are inclined to say they buy the consultant. After further reflection, most also then say they buy both—but in different ways, for different reasons, under different circumstances. When people purchase a service that is so heavily rooted in the talent or performance of one individual, they often having trouble separating their rational analysis from their emotional response. They arrive at a decision, but they can’t compartmentalize the reasoning into nice, neat elements. For consultants trying to decide how to best market themselves and their firm, the uncertainty can be frustrating. So let’s make a studied effort at explaining the “depends” clause. Most models of buyer decision-making portray a linear, rational sequence of cognitive thought. They begin with problem clarification and definition, then proceed to outlining alternative solutions and move on to defining criteria for selection, then to matching facts against those criteria. But this doesn’t fully capture how clients really buy. Of course, the decision-making process is not completely rational or linear. But it does include two distinct phases – screening and selection. In general, screening comes first and focuses heavily on the firm. Selection comes second and emphasizes the consultant. From this we can conclude that it is smart to market the firm in the screening process, and to sell the consultant in the selection process. Let’s use the example of a client seeking a new consultant. Figure 1. below outlines this principle. As a client embarks on a new-consultant search, the first step is screening. The client begins by putting together a “short list,” either of individuals or of firms, which is usually based on prior experience, reputation, recommendations, rankings and ratings, and some initial research. It is during this stage that marketing efforts promoting the firm are most effective. As the screening process comes to a close – even if only one firm emerges as a viable candidate, though usually there are several top contenders – most clients insist on having some level of personal interaction with the firm’s leadership and/or consultants before they make a decision. This is the selection process. The formality with which this stage is conducted depends entirely on the client, and as such, consultancies should be prepared with various levels of responses. The typical selection process involves phone calls, presentations or meetings, but in almost all cases includes personal interaction. Following (Figure 2) are some distinctions between the screening process and the selection process. A crucial part of working the two phases of decision-making is for consulting firms to recognize which stage a client is in when they make contact. Perhaps the most common error for consulting firms is to mistakenly continue behaving as if they are in the screening process when it comes time to work the selection process. The screening process is generally done at a far remove. Clients rely on promotional materials available in print or on websites, through industry sources, through third-party references, and through initial, rather scripted inquiry phone calls. The best screening materials consist of concise statements of focus, and objective referent points of competence. But once screening is over, the game changes entirely. Interaction becomes personal. Suddenly, clients are no longer interested in hearing about a firm’s philosophy or dry statistical information—even if they say otherwise. When meeting in person for the first time, clients behave like every other human being, forming strong perceptions and projecting the experience into future scenarios. It is up to the consultant to set the proper tone and guide communication in a productive direction. This is an opportunity for the consultant to sell himself/herself. But here a paradox arises: You sell yourself best not by talking about yourself, but by talking about the client. To stand out in the selection process, consultants should stop reciting their own expertise – whether the firm’s or the consultant’s – and apply it to the client’s specific issues. This illustrates to the prospective client how focused on their business, and their unique needs, the firm and the consultant are. It also makes the consultant’s abilities (or lack of ability) tangible through real-world application. It actually removes the more fantastical elements of “selling” from the equation, allowing the consultant to showcase his knowledge, communication style, and problem-solving skills in a natural way – which makes both parties more comfortable in the long run. clients who have pre-existing external relationships, and conduct searches only at the surface level to maintain the appearance of objectivity. Sell the individual in ways that help clients make selections. 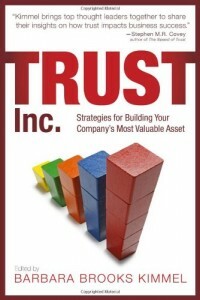 https://trustedadvisor.com/public/iStock_000020433245_Small.jpg 565 849 Charles H. Green http://trustedadvisor.com/public/trusted_advisor1.png Charles H. Green2015-07-13 06:00:152015-07-31 19:24:15Do Clients Buy the Consulting Firm or the Consultant?